The TRAMA and TRAMUS models are fitted with wheel-driven pumps so that metering is dependent on the distance travelled and not on the driving speed. The atomisers are driven by a rechargeable battery or an on-board power supply. An parallelogram construction ensures that wheel contact to the surface is not lost so as to not interrupt the pump drive. As an alternative to the TRAMA and TRAMUS models, you can also use our new FLEXOMANT-TWO and ONE modules. Information about them can be found here. 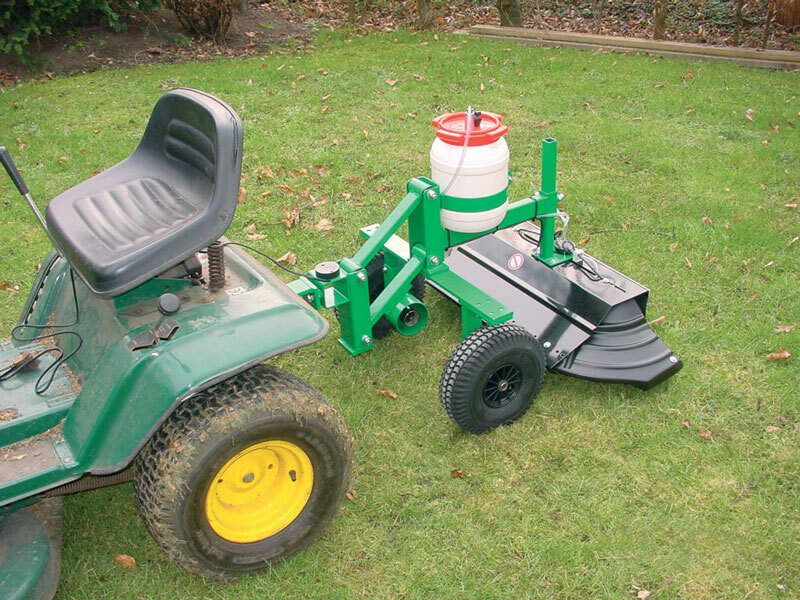 The Tramus is a unit designed for simple attachment onto a ride-on mower or small tractor. 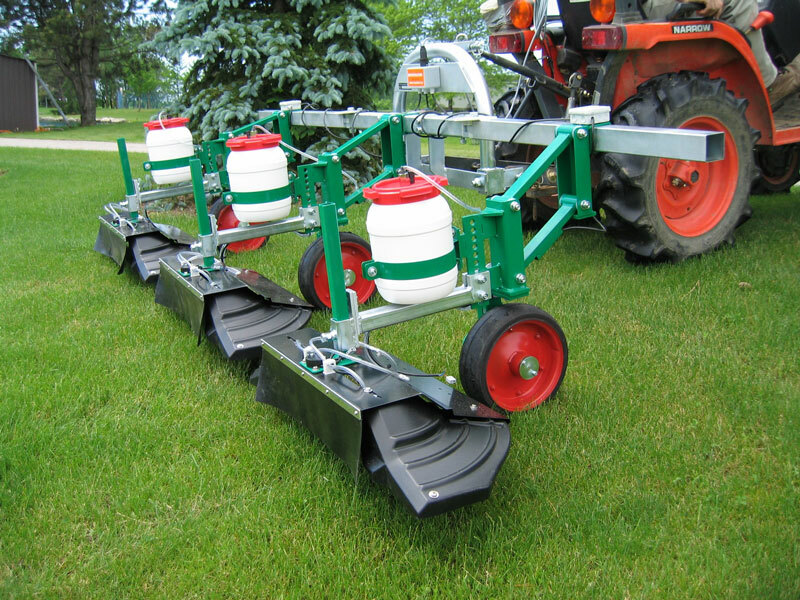 Its primary areas of application are lawns and pathways with hard paved surface. * A model with rechargeable battery is available on request. 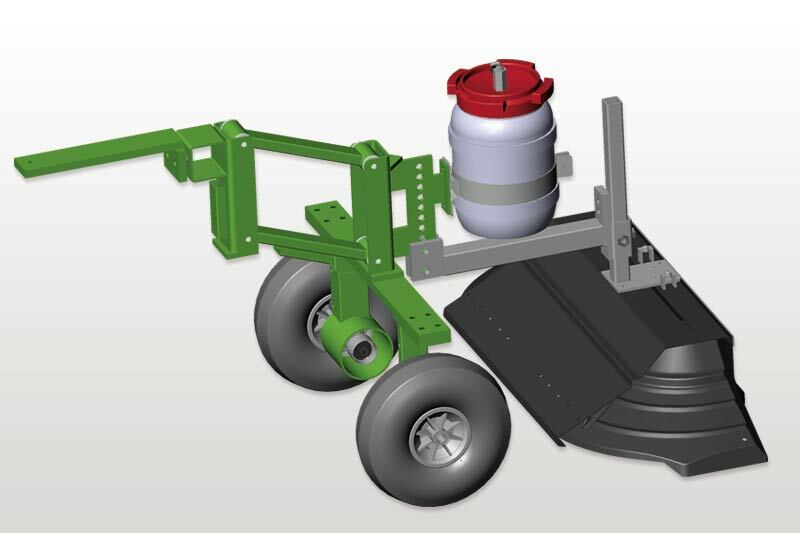 The TRAMA can also be attached to a riding mower or small tractor, yet it is often used as a rear-mounted unit with a 3-point hitch (art. no. 100767). A particular advantage is that multiple TRAMA units can be mounted side by side. This means that a very large spray width can be achieved, which is particularly advantageous for use on extremely large surface areas. 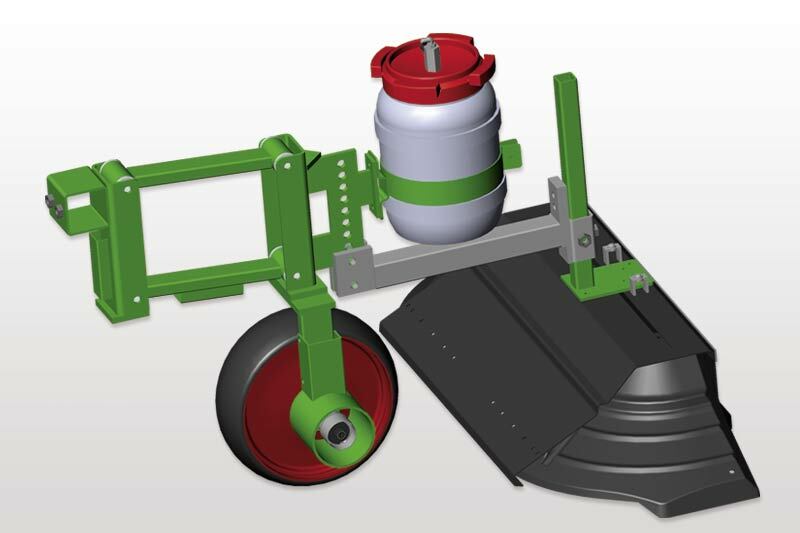 Because wheel contact to the surface and a constant gap between the atomiser and the ground are ensured for each TRAMA unit independently via their respective parallelogram, a wide total spray width is possible with this unit, even on uneven ground.